Enterprise-Class online auction software built cleaner, friendlier, and extensible. 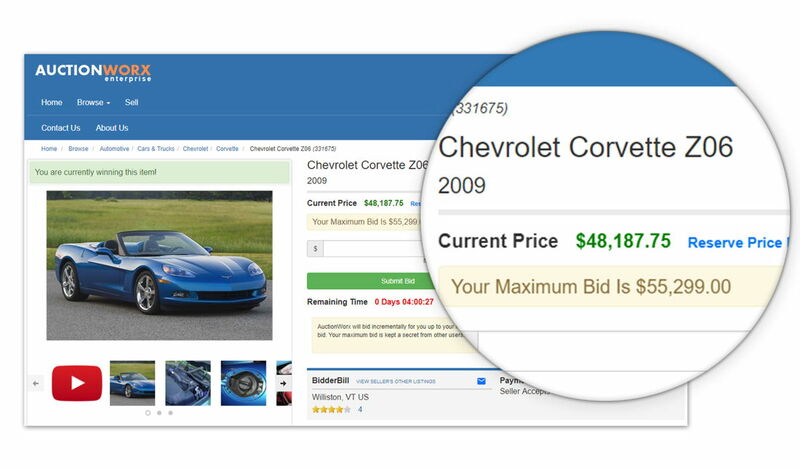 List your own auctions or enable multiple vendors. 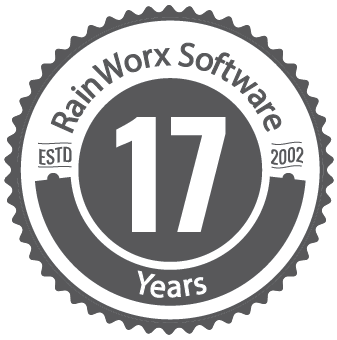 AuctionWorx can be configured and ready to deploy as-is or customized to suit your business needs. 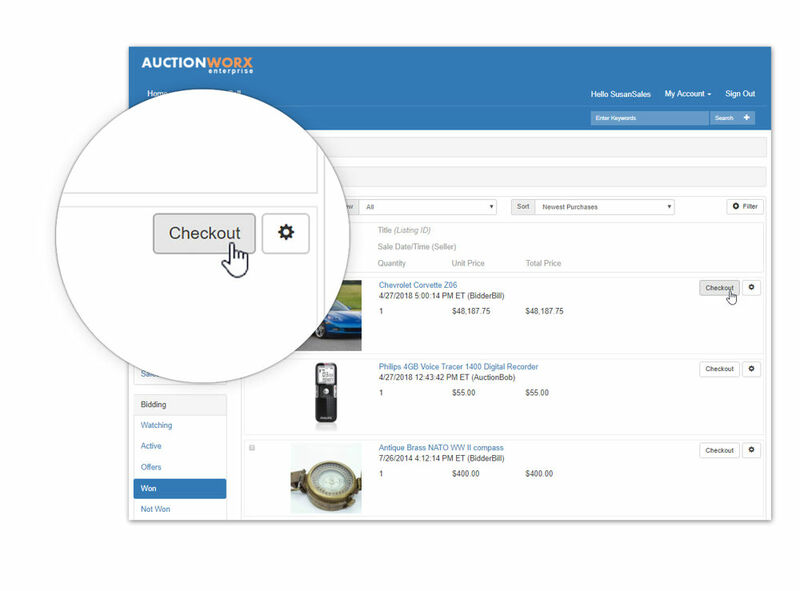 Designed from the ground up to be fast and user-friendly, AuctionWorx is a powerful auction website solution. AuctionWorx Enterprise covers Auctions, Fixed Price, Classifieds, and Make Offer, all with many configurable options. All listing formats and many different sales options can be turned on/off and configured through the web-based Admin Control Panel. Enable multiple vendors to sell on your marketplace - allow sellers to post listings and optionally charge fees. List items as the only seller, run online auctions under your own website with no extra fees or commissions. Offer buyer checkout with sales invoicing, sales tax, shipping options, and multiple payment options. AuctionWorx Enterprise intelligently suggests the grouping of items purchased from each seller, according to shipping and payment options, for each invoice. Interact with the software on a live website sandbox. Let's go over your needs and discuss how we can help. Order the software license and hosting services.